In the past couple of weeks the UK’s national press allowed itself a ripple of excitement over the news that the Williams F1 team has named Susie Wolff as effectively its fourth driver, and she will run in practice sessions at the British and German Grand Prix meetings. “F1’s first female driver in 22 years” screamed the headlines. Never mind the fact that being fourth on the pecking order means that Susie’s chances of actually progressing from a couple of tests to a spot on the F1 grid are pretty slim – she’s a woman, and she’s in an F1 car, so that’s news right? 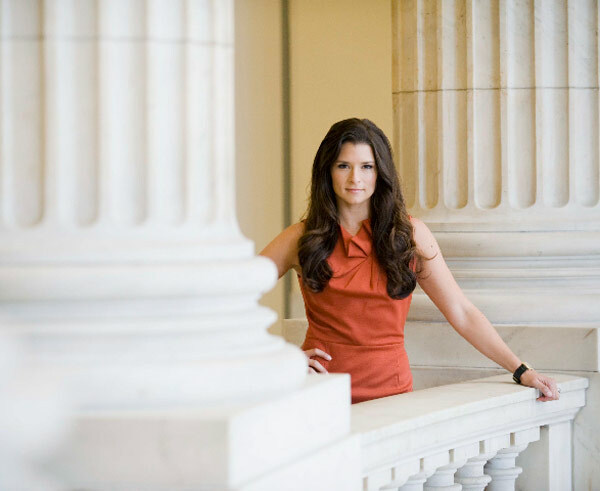 Someone who is very used to this mass media attention purely due to her gender is Danica Patrick. Now many UK race fans probably won’t have heard of Danica, but in the US you don’t have to be a fan of any sport to know all about her, because she is everywhere. 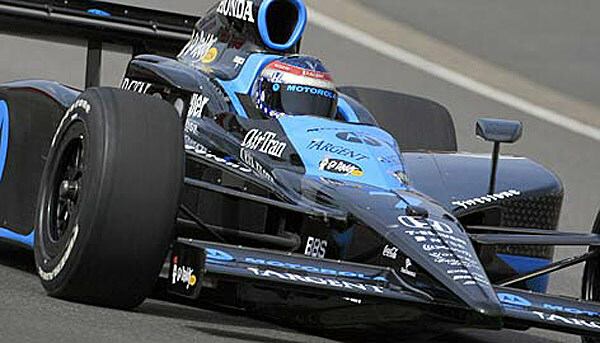 Strong performances at the wheel of 200mph-plus IndyCar single seaters. 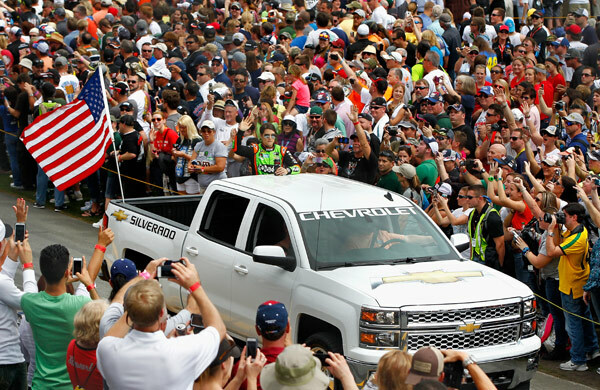 Patrick competes in the NASCAR Sprint Cup, America’s biggest race series. Before transferring to the big stock cars in 2012, she ran in the IndyCar Series – just about the fastest motorsport around, single seaters running at speeds up to 230mph on high-banked ovals, a series that includes the iconic Indianapolis 500. 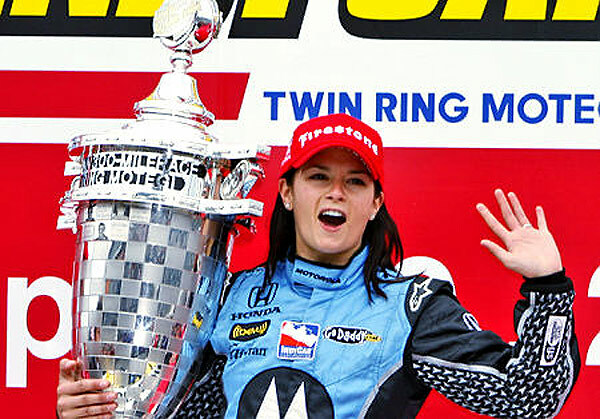 She came pretty close to winning the Indy 500 in 2009, eventually finishing third, and a year earlier had taken victory at Motegi in Japan to become the only female winner in the series. The big IndyCar win, at Motegi in Japan in 2008. So Patrick was big news before she headed for NASCAR, but when she arrived there… In terms of profile, IndyCar is very much in the shadow of NASCAR, and when Patrick arrived, the sport was planted firmly on the front pages of every newspaper – she boosted the crowds at the tracks, many of which routinely attract attendances of more than 100,000 for what is basically a 36-race national series, and TV ratings climbed when viewers knew Patrick was on. It really was Danica mania, firmly based on the fact that this was a woman, racing the men, and yes she attracted many more female viewers to the sport. Secondly, just starting her third season, she is yet to really set the sport alight on the track. She didn’t charge to glory in her first season, or even her second, and that has simply stoked the views of the nay-sayers, and a growing backlash amongst some fans. Part of my role involves me following the in-race Tweets of various members of the US media who cover the championship. There are 43 cars in the race but it’s when Patrick gets lapped by the leader that loads of media Tweet the fact. If Patrick has a crash, you scroll through the various Tweets yelling “DANICA IN THE WALL!” – the sort of all-embracing coverage otherwise only reserved for title contenders. 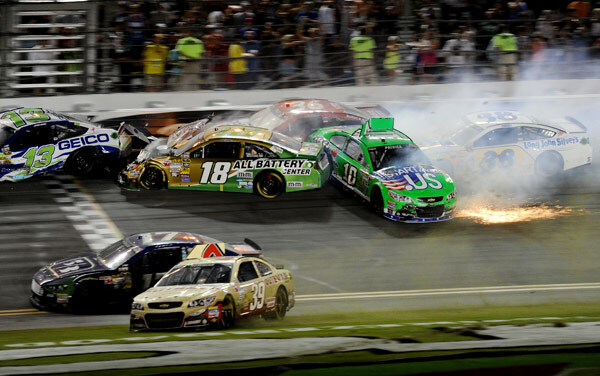 The NASCAR season starts with the sport’s biggest race, the Daytona 500. Last year Patrick went out and snatched pole position for the race. Oh how excited were the conspiracy theorists! This was of course a NASCAR put-up job… Nope, she is at her best on the superspeedways such as Daytona and on this day she got it right more than the rest did. Well the facts speak differently. Don’t get me wrong, Patrick is not the best racing driver in the world, and she’s likely not champion material. But neither is she any worse than a lot of the drivers around her. Patrick is into her second full-season in the top-level Sprint Cup, with no wins yet. Her highest place was a fourth in the Nationwide Series, in 2011, when she was combining her IndyCar racing with some toe-in-the-water NASCAR outings. But this is NASCAR, where stats simply don’t tell the full story. Martin Truex Jnr, for example, came to Sprint Cup in 2006, as a two-time Nationwide champion. He won a race in his second season, not his first, in 2007. He then had to wait until last summer to win a second – a 218-race winless streak. And he is considered one of the hotter Sprint Cup pilots. Aric Almirola, running for Richard Petty Motorsport, has been in the Sprint Cup full-time a year longer than Patrick. He hasn’t won yet. David Ragan, a firm fixture in the Cup, won his first race in his NASCAR career at Daytona in 2011 – it was his 163rd start. And he’s only won one more since. Yet the microscope is not on these or the many others for which statistics can be made to tell any tale you want. And these are generally drivers that have been racing stock cars since they could walk, not the single seaters in which Patrick got her education. But these drivers will secure the odd top-ten finish on a regular basis, say the detractors – Danica hasn’t… Not yet, maybe. But look at her first full-time year in the Cup. Her Stewart-Haas team, the 2011 champions, for much of the season struggled, not helped by team-leader Tony Stewart taking himself out of the running by breaking his leg mid season in a Sprint Car race. Thankfully, the drivers who race with Patrick are generally more switched on to her abilities than are some of the fans and certain sections of the media, not least Tony Stewart. He’s not known for hiding his opinions, and if he thought Patrick did not deserve to be in a seat with his team, he’d come out and say it. But she’s still there, I remind everyone starting only her second full season in NASCAR’s top formula. So far, some might say, it doesn’t look good. Three races in, Patrick lies 33rd in points, with not a top-ten finish to her name. 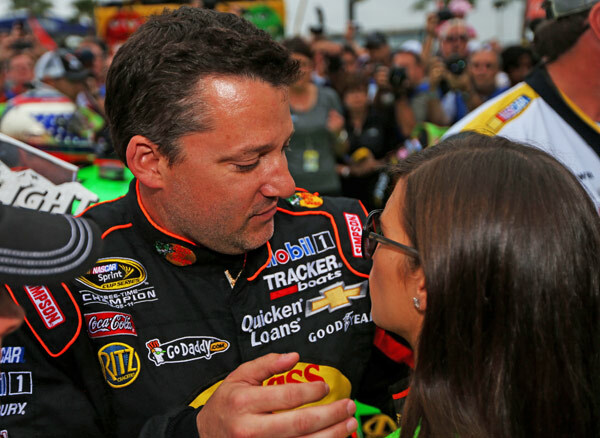 But neither have her team-mates Kurt Busch or Tony Stewart, both former champions. Fact is Stewart-Haas Racing is struggling, only new recruit Kevin Harvick seeming to be able to make the car work right now. Patrick did have two strong performances in the opening two races, however, only to get caught up in accidents. At Las Vegas last weekend, she out-qualified Busch and Stewart, found in the race that the car was terrible, worked on it to make it better, and while she finished 21st, it was five places ahead of Busch, 12 up on Stewart. 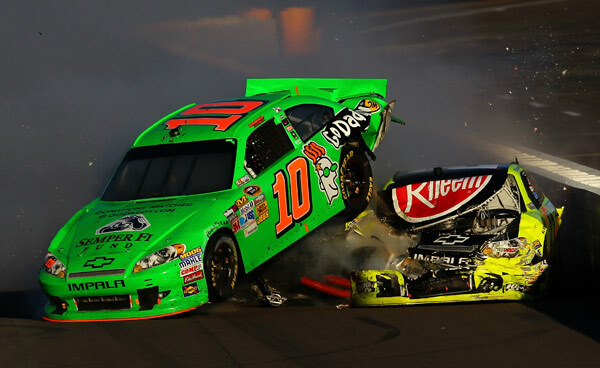 With Harvick retiring, Danica was the best finisher for the entire Stewart-Haas team.